These badges are clip-on for your lapel or lanyard. They come in several designs, including a gold foil ULC crest, a pentagram, press pass, and cross. 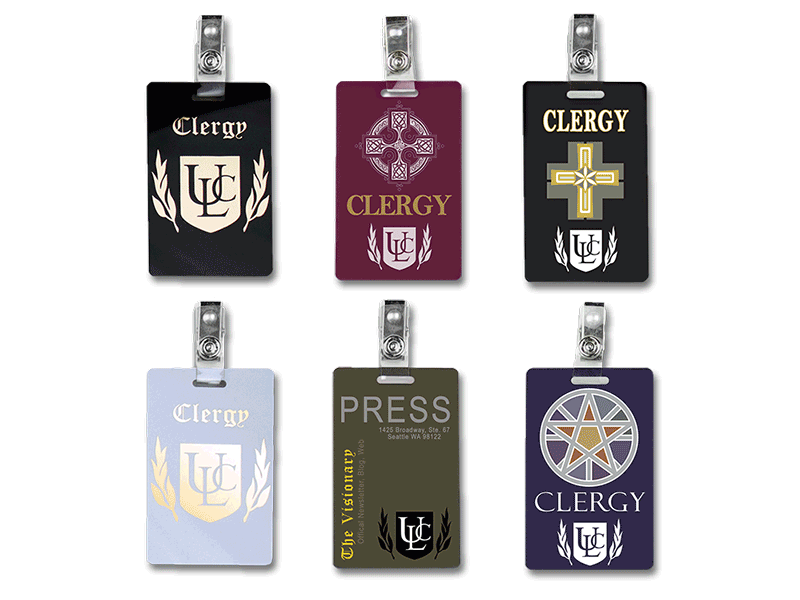 These ULC badges help you look professional while performing your ministerial duties. Wear it to proudly as you perform a wedding, or minister to people in hospitals, nursing homes, or correctional facilities. Gold-foil ULC crest over black. Gold-foil ULC crest over white. Yellow cross with celtic knots on maroon. Colored pentacle on a royal blue. Press Pass in large font on a forest green.